Has this photo, or any of its goop-oozing ilk, ever sold a sandwich? They look just as dodgy in Australia. Isn’t it amazing that the McDonalds burgers you get handed to you by a pimply faced kid bare absolutely no resemblance to the burgers depicted on their advertising. 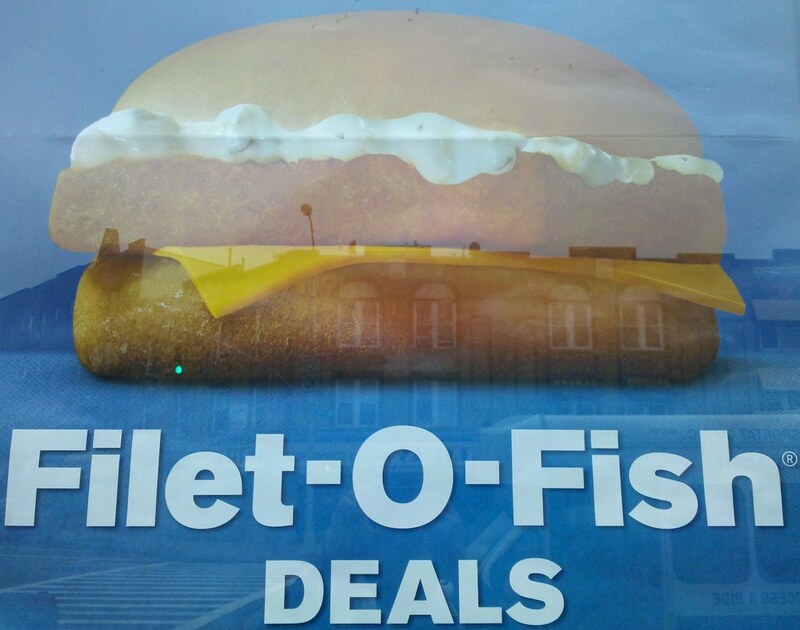 You can always tell it’s Lent because all the Filet-O-Fish advertisements come out. Can’t eat meat on Friday? Fish is A-OK! !